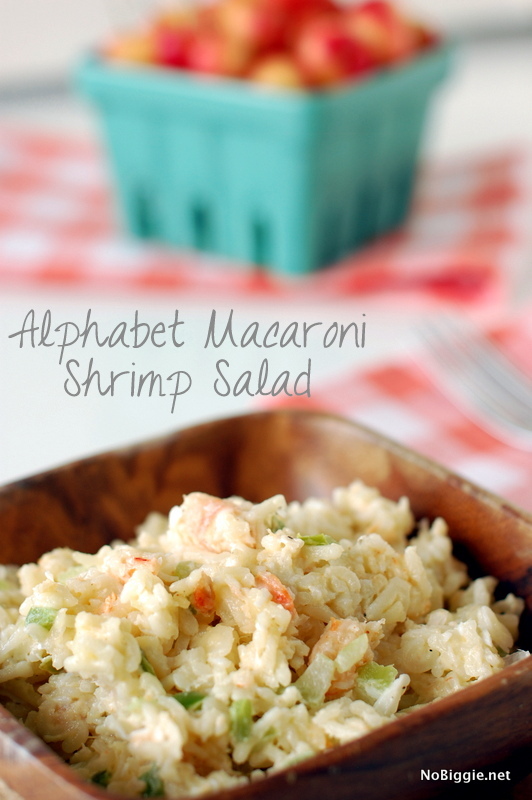 Tiny alphabet pasta with shrimp make this the perfect summer pasta salad. Every Summer we love to get together with the moms and cousins on my Dad’s side. We meet at a local splash pad. I love it when we get together, because the kids play their heads off and the moms get to chat and eat! 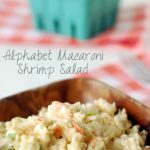 My mom brought this alphabet macaroni shrimp salad that we all love. It’s one of our favorites in the Summer. It’s such a great salad for Summer BBQs and picnic. It really is a meal in itself. 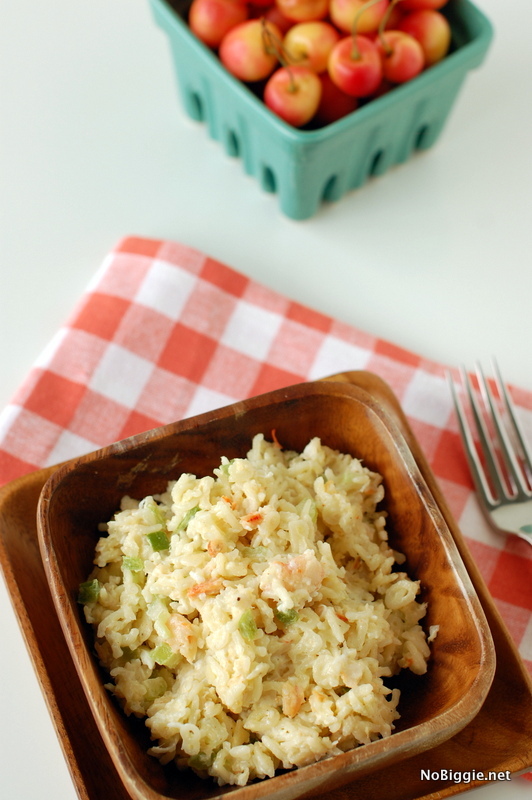 This recipe comes from my mom’s good friend Pam…thank you Pam! We all love it! -Following the directions on the package of mini alphabet macaroni, bring the water to a boil in a medium-large pot. Add 1 tsp. salt to the water and add the macaroni. Cook until tender, just a little al dente (about 12 minutes). Drain excess water. 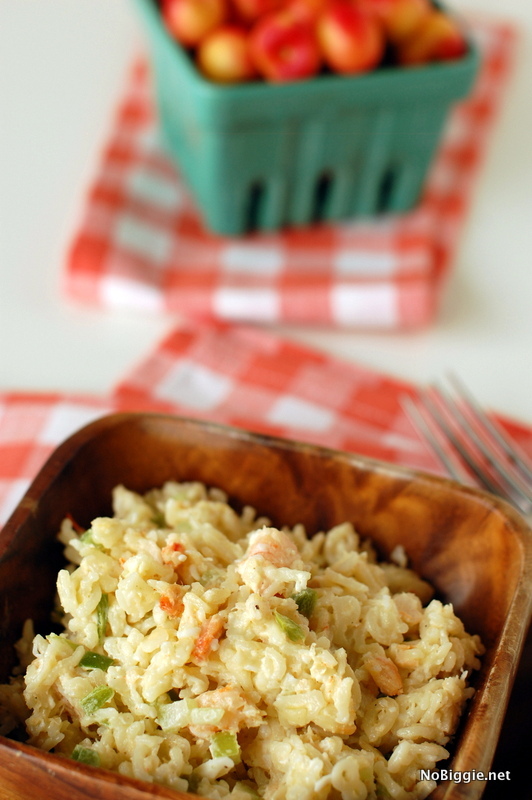 -Stir the cooked and cooled alphabet pasta, shrimp, diced veggies and eggs together. -Add mayonnaise to your liking. Add salt and pepper. Stir it all together. Move to the serving bowl and sprinkle lightly with paprika. Serve chilled. Tiny alphabet pasta loaded with cooked shrimp makes this the best Summer pasta salad. Following the directions on the package of mini alphabet macaroni, bring the water to a boil in a medium-large pot. Add 1 tsp. salt to the water and add the macaroni. Cook until tender, just a little al dente (about 12 minutes). Drain excess water. Stir the cooked and cooled alphabet pasta, shrimp, diced veggies and eggs together. Add mayonnaise to your liking. Add salt and pepper. Stir it all together. Move to the serving bowl and sprinkle lightly with paprika. Serve chilled.